Another incredible wine is the 2014 Sonata, which checks in as a mix of 44% Syrah, 30% Cabernet Sauvignon and the rest Sangiovese, which comes from a mix of sites in Ventura County, Paso Robles and Arroyo Grande. Barrel fermented and aged 16 months in 70% new French oak, this beauty o ers classy notes of creme de cassis, crushed violets, graphite and wet rock to go with a pure, elegant, seamless style on the palate. Like all of the wines from Guillaume Fabre, it's impeccably made and shines for its sheer pedigree and purity. Drink it anytime over the coming decade. Inky purple. Ripe blackberry, cherry compote, candied violet and woodsmoke aromas show very good clarity and pick up minerally nuance in the glass. Lush Palate-coating dark fruit liqueur flavors develop smoke, allspice, and floral pastille qualities with air, along with a hint of cola. 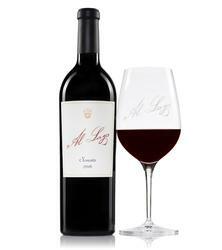 Finishes smooth, sweet and extremely long; chewy tannins add grip to the lush black and blue fruit.